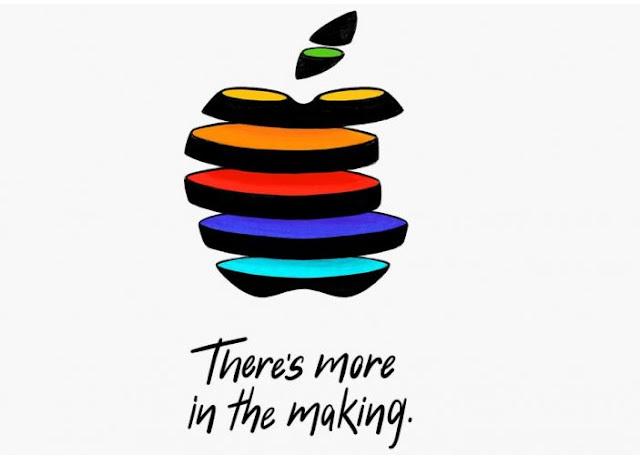 Apple to live stream Oct 30 Event "There's More in the making"
Earlier today, Apple company has confirmed that it will live stream October 30 event "There's more in the making" as it started sending out invites to many people and press to attend the event at the Howard Gilman Opera House in New York City. The event begins at 10 a.m. EDT. 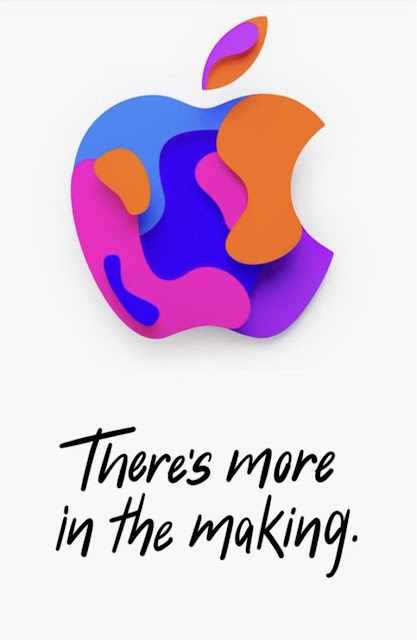 On Sept. 12, Apple introduced the iPhone XS, iPhone XS Max, and iPhone XR, and fourth-generation Apple Watch. 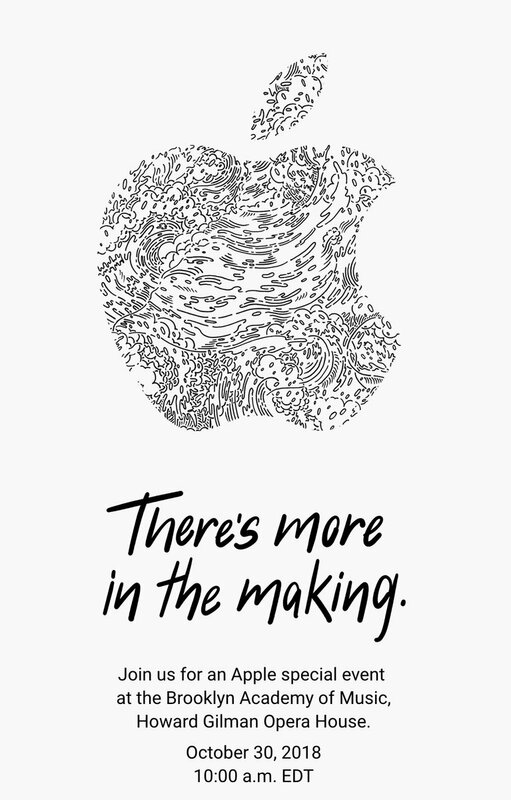 Recently, we published an article with a list of all of the product we expect Apple to announce this month. Rumors have long suggested this October event would feature updated iPad Pro tablets and new Macs, including a next-generation Mac mini, MacBook, and MacBook Air. A new iMac could also be announced. 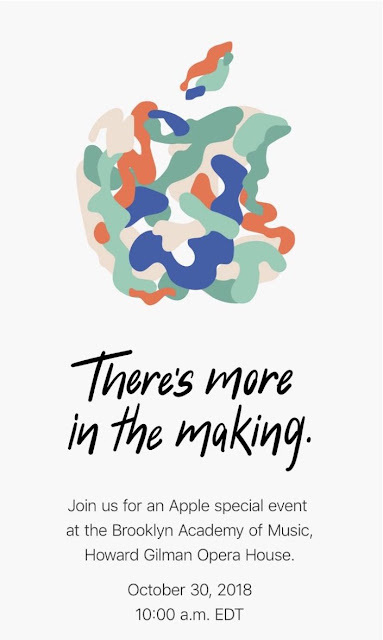 It is expected that Apple will unveil iPad Pro, new audio products, including second-generation AirPods.